Daphne Bavelier talks about "Your brain on video games". She explains how did they experiment on gamers and non gamers to measure the changes between those two segment. Another brilliant presentation is from Jane McGonigal: "Gaming can make a better world". She tells her fascinating experience what playing games can do with our lives. Tonight I show you my favorite problem solving games. It seems as a simplified version of Risk. You have a hexagonal playground with partitioned territories. Your goal is to conquer all of them by attacking and gathering one by one from the enemy. The experience in it is the number of strategies and game modes you can apply. You can play with the AI engine or with a friend (using pass and play) or online with friends or unknown fellows. It has different sizes of maps - which makes it great when I want a 5 minute game in the bus stop. Hoggy is a little creature who lost his lady friend and has to fight himself through many puzzling levels. Hoggy can change his own gravity, has functional items in the world and can do some tricky things. 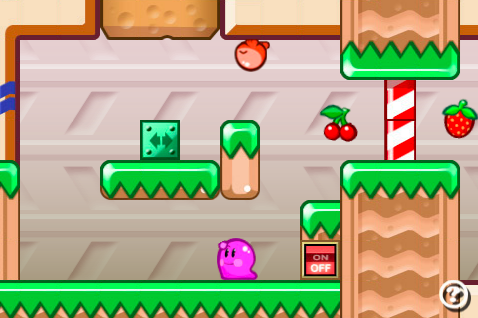 Even it looks so cute it's pretty tough to get all the levels done. And again - it's supercute. It's a classical graph pathfinding game. You have to know the basic mathematical rules of course, and it's still requires to take attention to the closed subgraphs. It helps you to think forward and walk though several options in mind. In SEQ you also work with random directed graphs (in the back of your mind) to find the way of the numbers to a zero. In each step the number in move will be decreased. There are fixed graph points and overlaps which you have to care about. Very much exciting game. Trainyard is yet another tricky graph problem (let's frank, it's usually a graph puzzle) where you have garages and trains. Each train carries a color and each garage expect a train with a certain color. Trains can be merged and mixed and cut. Extremely hard. Don't tell I didn't warn you before you break your phone. I love chess. It's the queen of puzzle games. I think I don't have to introduce the game. Maybe one thing. 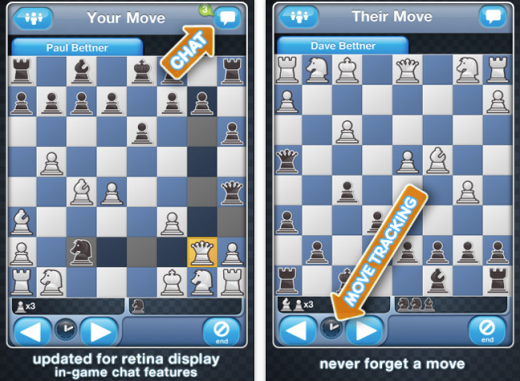 With this client you can play chess over the network - whenever you want. I mean you make your step anytime it's good for you. You can literally play one match for weeks. I usually make a step whenever I have couple of minutes to think. Please - if you use this app (or want) - tell me and let's start a round :) My username should be 'itarato' there.